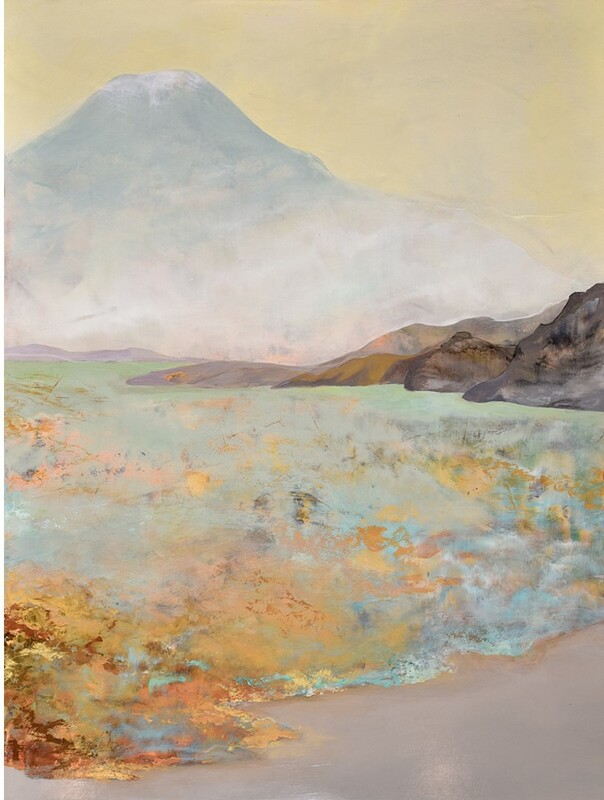 Here at Handover we are always curious about how people are using different materials which is why we were so excited to see Nancy Reyner’s use of gold leaf in her paintings. 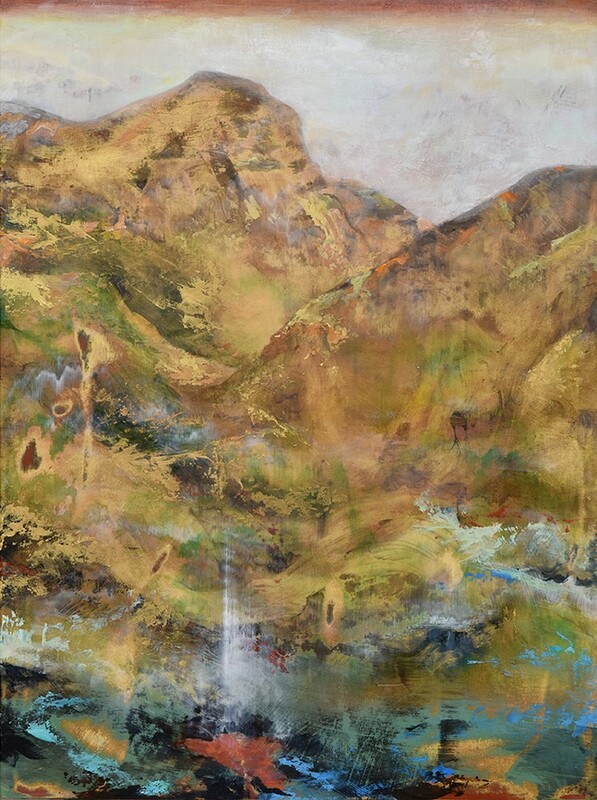 Nancy Reyner is a painter, author, and teacher, and uses gold leaf to create luminous and ethereal paintings that are rooted in nature and landscape. 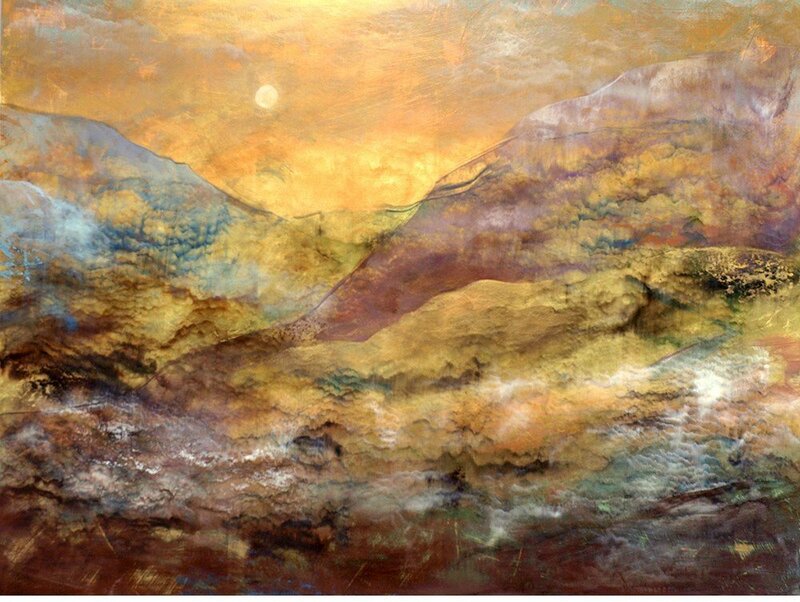 Predominantly using imitation gold leaf, Nancy layers, paints, and sands onto the panel to create an incredible amount of depth and texture into her art. 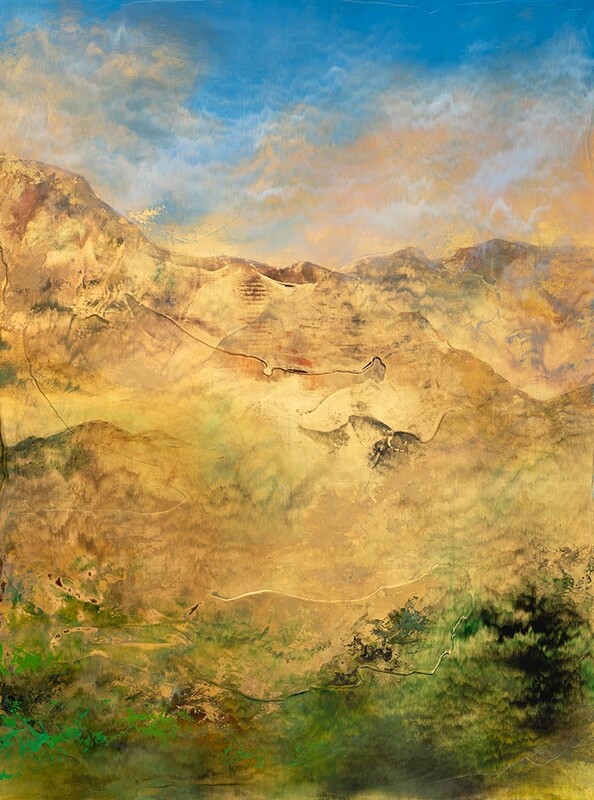 Nancy’s process with acrylic involves adding paint and glazes in layers then sanding back and so she advises sealing the leaf surface first if you intend to do something similar as it protects the leaf from these abrasive techniques. 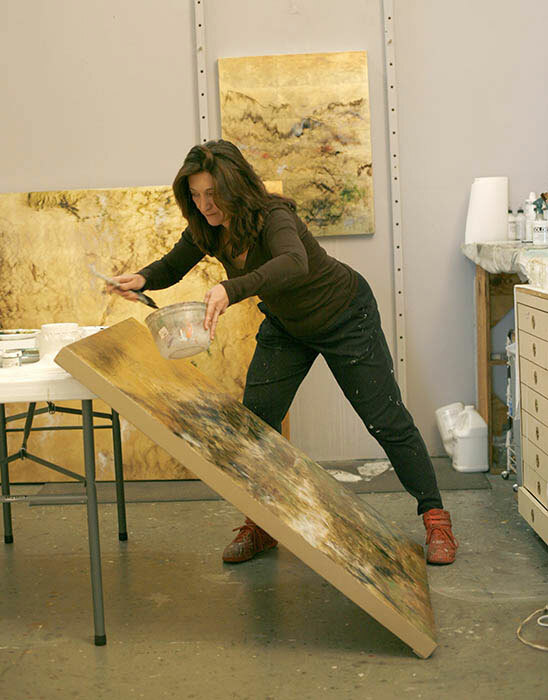 When not painting Nancy dedicates a lot of her time to teaching and mentoring other artists, her website is full of useful tips and advice as well as free video tutorials and she has an online course available.